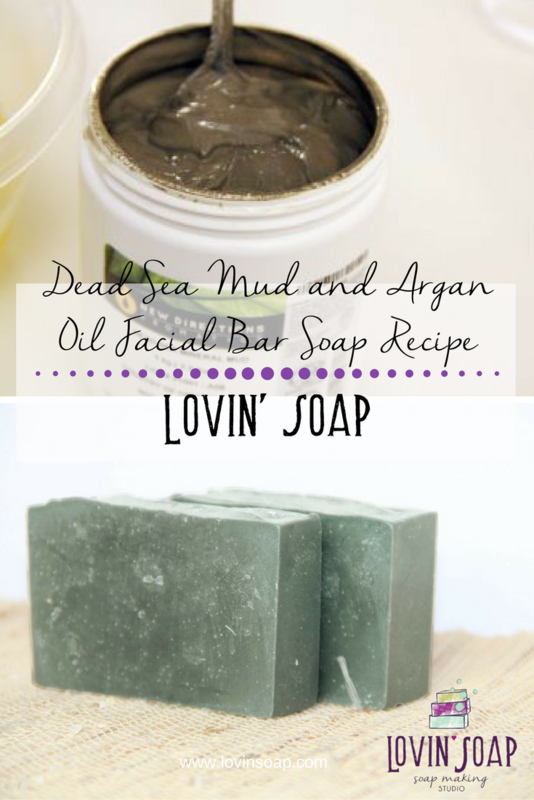 I wanted to share this wonderful Dead Sea Mud & Argan Oil Facial Bar soap recipe with you. It is currently one of my favorites! It uses decadent base oils, essential oils and additives. This is a soap that I make when I want to pamper myself. Before we get started, I’ve got a free gift for you! 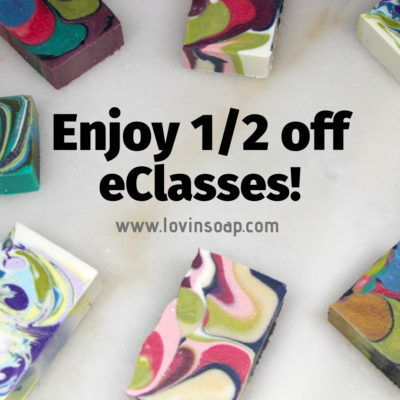 I’ve put together a mini eBook on Argan Oil and included a few soap making recipes. 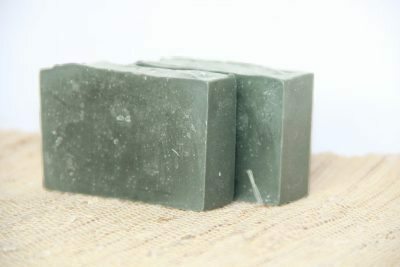 There are recipes for Argan Oil & Avocado Facial Soap, Argan Oil Shave Soap for Men and Argan Oil & Mint Salt Bars. Enjoy! Argan oil is the oil produced from the kernels of the argan tree (Argania spinosa L.). Workers (usually women’s co-ops) still process the kernels by hand to this day. Argan kernels are ground and pressed to obtain the oil. Argan oil contains tocopherols (vitamin E), phenols, carotenes and squalene. Depending on how it produced, it is thought to have a longer shelf-life than olive oil. I got my dead sea mud from New Directions Aromatics. This recipes makes 900 grams of soap and fits into a 10″ loaf mold from Bramble Berry. 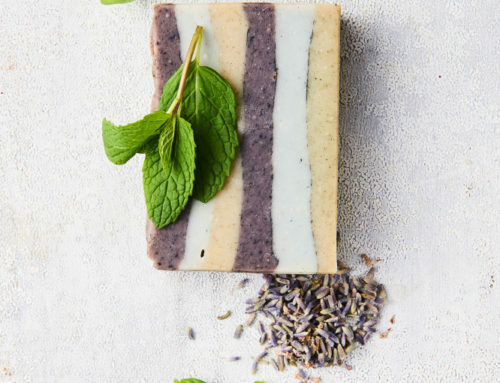 This soap is pretty easy to make! 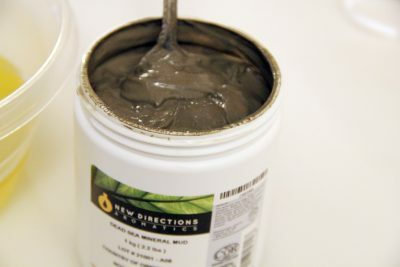 You can make a more creative soap by splitting in two and adding charcoal to one container and swirling into your mold. New to soap making? Visit our basic tutorial here. Step 1 – Wearing safety gear, weigh out the lye and water into two separate containers. 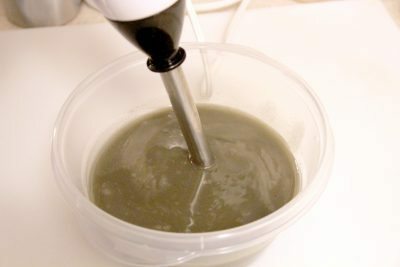 Step 2 – Pour the lye into the water while stirring. Place in a safe place and let cool while you prepare the oils. Step 3 – Weigh out the hard oils/butters and melt. Step 4 – Weigh the liquid oils into the melted oils/butters. This helps cool the oils down. Step 5 – Add essential oils and dead sea mud to the melted oils. Stick-blend to get rid of clumps if any occur. Step 6 – Once both the lye solution and oils have cooled to under 100° F, add the lye solution to the oils and mix to trace. Be sure to wear goggles and gloves! Step 7 – Pour the soap into your mold. Step 8 – Unmold, cut and cure your soap for at least 4 weeks. Since this is a facial bar, I like to lather up, put the lather on my face like a mask and let it sit for a couple of minutes. Then rinse off and pat dry. pssssst. Don’t forget your free download! this is my fav soap! i use 3 types of clay, and activated charcoal and its divine. thank you! Hi, thanks for sharing the recipe. How much charcoal would you add if you split the batch in two to do a swirl? Would you say that this bar is moisturizing? Would love to make it! What is a good substitute for Chamomille EO (don’t have any on hand, and want to try this recipe)..why is it you always you are always one ingredient short, and I have a cabinet full of EO..oops..
Great article Amanda,I have that same mud and haven’t figured out what to do with it until now. If I don’t have dead sea mud, can I sub clay in its place? If so, would I need to do anything specific? Can’t wait to make this! Thanks for sharing, Amanda! 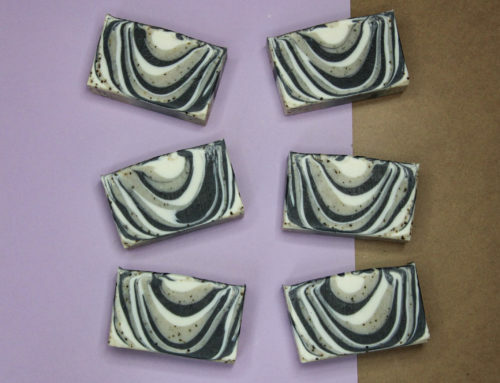 Nice article over Dead Sea Mud & Argan Oil Facial Bar soap making in 8 simple steps.